Borussia M'gladbach and Freiburg meet at Stadion im BORUSSIA‑PARK, in a match for the 26th round of the Bundesliga. 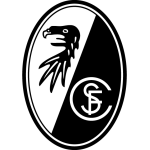 Freiburg got a home win by (3‑1), in the last league head‑to‑head, played in 26‑10‑2018. The head‑to‑head history at this stadium, favours the home team, since in the last 3 head‑to‑heads they won 3. Accordingly, in the last head‑to‑head played at this stadium, for the Bundesliga, on 05‑05‑2018, Borussia M'gladbach won by (3‑1). T. Hazard (18' ), N. Elvedi (57' ) and J. Drmic (64' ) scored for Borussia M'gladbach and T. Kleindienst (59' ) for Freiburg. After 14 wins, 4 draws and 7 losses, the home team is in the 4th position, havinf won 46 points so far. In the last match, they have won in an away match against Mainz 05 by (0‑1), after in the previous match they have lost (1‑5) at home, against Bayern München. 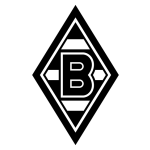 For the league, Borussia M'gladbach won 21 points out of 30 possible points, after 7 wins and 3 losses in the last 10 home matches. In their home league matches the most frequent result at half‑time was the 0‑0 (6 out of 12 matches). Their offense has scored consistently, as they have scored goals in 8 of the last 10 matches for this competition. In their home matches there is a tendency for goals, since 9 of the last 12 matches for this competition have ended with Over 2,5 goals. They have conceded the first goal in 9 of their 25 matches for this competition, and have only turned the score around in 1. Borussia Monchengladbach comes for this fixture after a 0-1 victory on the road to Mainz 05 ground, returning to wins after four successive matches without winning: the only goal of the team was signed by Elvedi. The home team usually works in a tactical system in 4-3-3, privileging the maintenance of ball possession and the organized attacks, mainly through the flanks. In this drawing, the three men responsible for launching the panic on the defensive opponent are Plea, Hazard and Stindl: the first player is the top scorer with 10 scored goals. The coach Dieter Hecking won’t be able to count on Traoré and Mayer for being injured. Confirmed Lineup: Y. Sommer, O. Wendt, T. Jantschke, N. Elvedi, J. Hofmann, F. Johnson, D. Zakaria, L. Stindl, T. Strobl, T. Hazard, A. Pléa. The away team is currently in the 12th position of the league, with 30 points won, after 7 wins, 9 draws and 9 losses. In the penultimate match, they lost in an away match against Bayer Leverkusen, by (2‑0). In the last match, they won in a home match against Hertha BSC, by (2‑1). In the last 10 away league matches Freiburg has a record of 1 win, 4 draws and 5 losses, so they have won 7 points out of 30 possible. Defensive consistency hasn’t been their best feature, as they have conceded goals in 8 of the last 10 matches, but their offense has scored consistently, as they have scored goals in 8 of the last 10 matches for this competition. In 25 matches for this competition, they have conceded the first goal 11 times and have never been able to turn the score around. Freiburg comes motivated for this round after a 2-1 win against Hertha: the team's goals were signed by Nils Peterson and Ibisevic (self-goal). Contrary to the "enemy" of this fixture, the visiting team must play in a tactical system in 4-4-2, with the aim of using the left flank to invest in the offensive process: Vincenzo Grifo is a very fast player. In any case, it is expectable that Freiburg will adopt a more defensive posture, with the aim of not granting spaces to their opponent. The coach of Christian Streich won’t be able to count on Kosch, Kubler and Sallai for being injured. Confirmed Lineup: A. Schwolow, C. Günter, P. Stenzel, D. Heintz, K. Schlotterbeck, A. Abrashi, V. Grifo, M. Frantz, J. Haberer, L. Waldschmidt, N. Petersen. The most likely scenario for this match will be Borussia Monchengladbach win. In addition to the home team acting at home, they still face an opponent who presents great weaknesses. Thus, it is expectable the home team could be superior in the majority and give their fans the happiness of the three points.